The hole in the pavement from yesterday has been filled. With a crude tar finish. I suppose they expect the council to come round an tidy it up. Of note though is that the access to the pipe is much closer to the curb. Which may make putting a nice round corner on that curb a little harder. 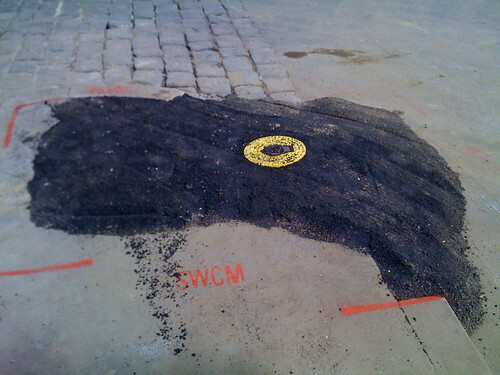 This entry was posted in Photos, Social and tagged construction, hole, photo, Sydney, water. Bookmark the permalink.